Confession: I have a nail water decals and nail stickers addiction. It might be a problem requiring intervention, yes, but you gotta admit these look so adorable! And they are ridiculously cheap (and I mean RIDICULOUSLY). So how can you say no to them? The answer is: you can't. 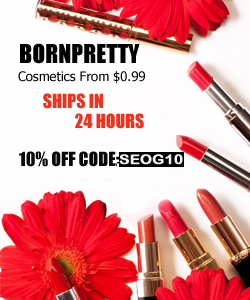 Every now and then I visit BornPretty.com and pick up a couple new ones. 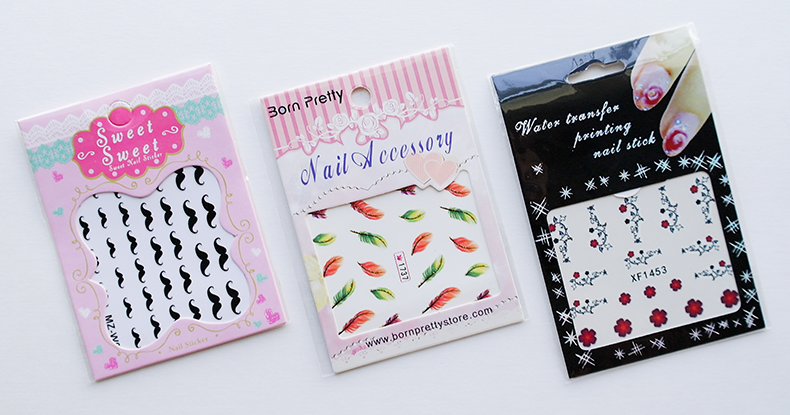 Each one of them contains only one sheet, but there is enough decals to decorate your nails at least 3-4 times, so I'd say for $99-$1.99 it's a pretty good deal. They are very easy to apply. 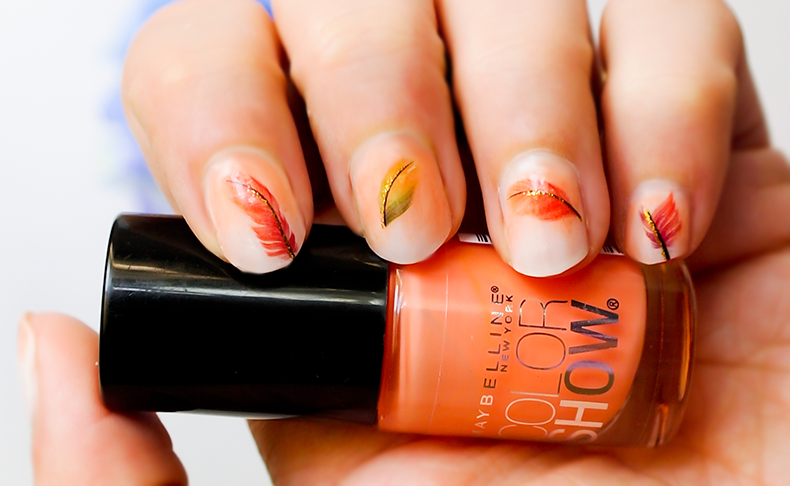 You just cut out the desired piece, soak it in water for a couple seconds and then peel off the decal and place it on your nail (you need to paint your nails first and let them dry). It's pretty much just like applying a temporary tattoo. Once you apply the water decal, add a top coat to ensure it stays in place. All the decals I've purchased at BornPretty.com are great quality. They stay on for at least 4-5 days (or as long as your nail polish stays in place). They are very easy and quick to apply. They come in a good variety of designs and sizes, and they make your nails look like straight out of nail salon. If you're into mani-pedis, I'd say you definitely check them out.